What’s up with all the dog waste in NYC? 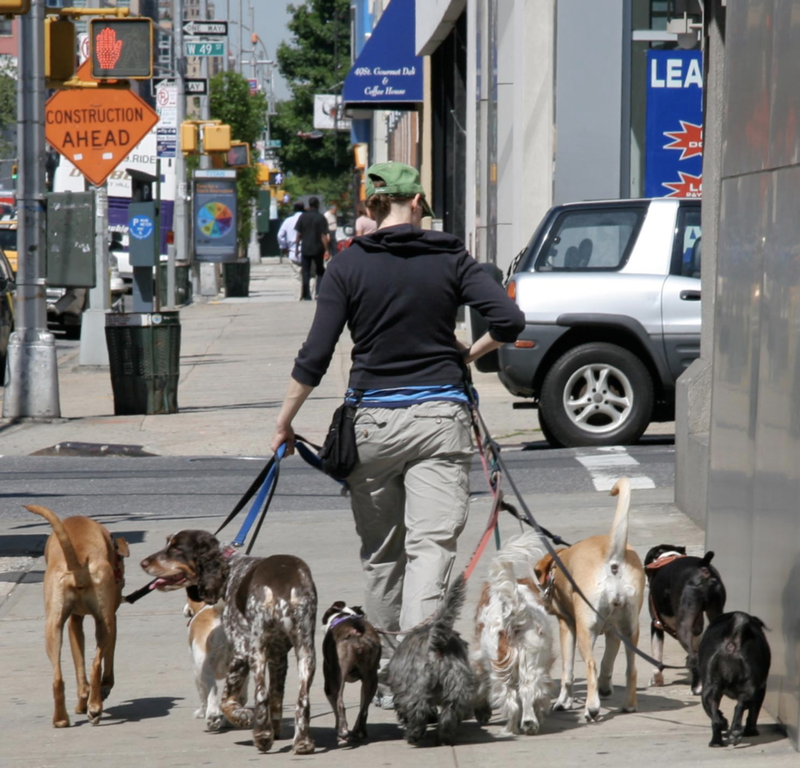 It’s true in many urban cities, but New York seems to have a serious dog waste problem-- one so significant that many people don’t know what to so about it. Where did all this waste come from? Why doesn’t it get cleaned up? How can you avoid it? Those are all questions that many New Yorkers ask themselves all the time. So, why is there so much dog waste in new York city? It’s gross, and no one wants to see it-- but it’s everywhere. You can find it in local parks, littered on the edges of sidewalks, and sometimes even right next to your doorstep. Roughly 80,000 unique dogs are registered every year in NYC, and there are estimated to be around 600,000 Registered dogs currently living in the Big apple. And that’s not even counting the prevalence of illegal, unregistered dogs in the big city. So part of why there is dog waste everywhere is simply that the city is absolutely filled to the brim with dogs-- no wonder you see so many dog walkers absolutely covered in leashes and pooches! Speaking of Dog Walkers, they seem to be part of the problem. Court summons have had to be sent out to dog walkers who failed to remove dog waste. But they and dog owners both have part of the problem on them-- it’s simply a matter of dog walkers have many dogs and not always noticing their refuse amongst all the others, or ignoring it becuase they’d have so much to pick up otherwise. The city itself has cracked down on dog waste issues a lot, but the cannot seem to kick the problem. Signs, fines, and everything in between have been attempted to try and curb the waste left on the curb, but it continues to litter the sidewalks. Of course, New York is a huge city that has plenty of other problems on it’s side walks (from unlicensed street vendors to refuse being left everywhere to human waste), so it’s understandable that dog leavings aren’t the first thing on their mind. But that doesn’t mean we have to like it! Sometimes, even local citizens have tried to take matters into their own hands. In early 2017, one resourceful citizen made home made signs and pasted them all around their local park (which had serious issues with dog waste) in an attempt to shame dog owners into picking up the waste they might otherwise leave behind. Gramercy Park is a lovely, private park, so it was sure to be the same people leaving these problems every day. While it’s hard to say if this had any effects in the long term, it likely helped at least a little while the signs were up-- or at least was cathartic for those who left the signs. Sadly, as a local citizen there’s not much you can do (except for picking up your own dog’s waste, of course.) You can go guerilla warfare on inconsiderate dog owners like some others have done, but you can also just make sure to do the most you can-- and encourage your friends to, as well! Oh, and take this map-- it’s sure to help you avoid the most poop infested places in the city. If you live in one, you have our deepest condolences.